Debt reasons and remedies, solutions of debt problems, planetary reasons of debt problems, astrology analysis to over come from debt problems, yantra solutions to over come from debt problems, astrologer for debt reasons analysis, Free Solutions to over come from debts. It is a fact that if any one is not able to have a good monetary power then definitely there is a problem in the planeatary positions in the horoscope. Destiny plays a great role in our life and due to this many unwanted things happen in our life. One of the dark period in life is when a person suffers from debt and unable to return it. In whole world many person make suicide due to unable to pay debt. Here in this article I am providing the astrology reasons and remedies related to debt problem. In hindi debt is called Karj or Karja. Some borrow money to increase business. Some service people borrow money because sometimes the salary is not sufficient to fulfil the demands of months. Some people borrow to perform the marriage ceremony of son or daughter. Some persons borrow for treatment in case of chronic diseases. Farmers takes loan to perform the farming in large scale. Some takes loan to live luxury life. Industrialists takes loan to setup industries. Enterpreneur try to start there own work by taking loan. Even Students also take loan to complete there higher studies. So actually loan has become part of life in now a days. But due to bad luck some persons unable to pay back the loan amount or loan amount and this become a burden in life. Gradually debt become so high that at last person enter in depression zone and take negative step in life. If the 12th house is generating malefic impacts i.e. if suppose any debilitated planet is present in expenses place then person may take loan or borrow money because of that planet and chances of increasing debt at the time of mahadasha or antardasha of that planet. If chandal yoga is forming in kundli then it also create struggle in life to earn a satisfactory income and due to this person take borrow money in life. If the 2nd house, 11th house or 10th house is affected by malefic planet then in that case also person faces too much problem in increasing monetary power in life. 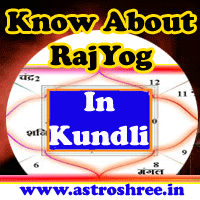 I have also found in analysis that if planets are good in kundli/horoscope/birth chart, in fact sometimes raj yog is present but inspite of that person suffers from debt problems, it is because the planets are not powerful to show the good result. Sometimes grahan yoga is also responsible for bad financial position. Sometimes due to black magic done by any one family enter in debt zone. So there may be several reasons of problems and after knowing the reasons of problems it is possible to adopt the right remedies. There may be several remedies of karj problem but here I am providing some special ways which will help every one who is suffering from debt. If these upaay or totkay will be done with devotion then no doubt some positive things will happen in life. If you are owner of shop then do clean your shop yourself and then wash the both side of entrance with holy water and then regular make swastic by remembering lord ganesha. Start this process from Poornima i.e. full Moon day. Also on Full Moon day and No Moon day put some bhog on swastik. On Navratri Friday or Monday do this 2 things with Naagkesar and Bhojpatra. A) Take a bhoj patra and make swastik with saffron and then paste naagkesar on it. While making this nagkesar swstik yantra keep chanting any laxmi mantra. After that perform pooja of that yantra and cant atleast 11 Mala of any laxmi mantra and then keep the yantra in your pooja place and daily worship it. B) Take some honey and put naagkesar on it and then keep it in your safe. Get a Bhagyoday yantra and keep it with you always. Another thing is that get a siddha parad sumeru shree yantra and then worship it regularly. If you worship hanumanji then do this for 8 tuesday. Take 108 leaves of Peepal tree and write Ram on every leaf with astgandh and then make mala of 108 leaves and then offer it to hanumanji, With this take atleast 7 round and maximum 108 round of hanumanji and pray to help you to over come from debts. On amavasya and poornima go to any shiv temple which is present in cremation ground i.e. in Shamshaan and perform Panchamrit abhishek and offer belpatra leaves. Pray for blessings. If you have well in your house or in your premise then do worship it on no moon day and full moon day properly. If you have any temple nearby your house then make a habit to visit there daily before leaving for office or shop. Practice Meditation daily to make yourself positive and to increase your hypnotic aura. So here i have give some easy ways which you can use to attract the blessings in life and to make the life successful. So don't worry if you are not having good funds, money. Just get up to do more than past and change your life. If you need any astrology guidance then you can take services of Astrologer Astroshree. Here you can get complete analysis of your kundli/birth chart/horoscope and also you can get solutions as per your horoscope. Go Here For Astrology Consultancy Process. How to over come from DEBT?